• Chinese red lanterns have a long history, and they have become a well-known symbol of China Towns worldwide. 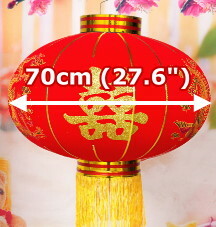 The most common Chinese lanterns are red, oval shape, and decorated with red, yellow or golden tassels, but they come in many forms; another usual style is a polygon lantern. 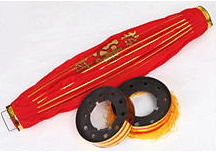 The materials for making a lantern vary: bamboo, wood, rattan, or steel wire for the frame; paper, fabric or silk for the shade; and for decoration Chinese calligraphy, painting, paper cutting, and embroidery. 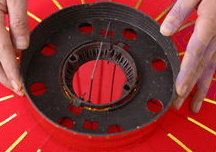 There are 3 parts, a lantern, a upper and a lower collar. 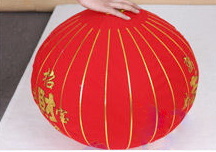 Push down the lantern slowly and it will swell to a spherical shape. 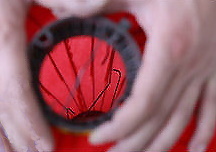 Fasten the hook to keep the spherical shape. Screw the upper collar to fix it at the top of the lantern. 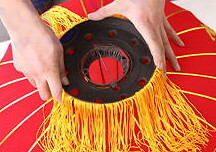 Turn over the lantern, screw the lower collar (with tassels) to fix it at the bottom of the lantern.